Hung in my archway. Should dust or dirt, silt or rain hit the piece, I need only to sponge it off. 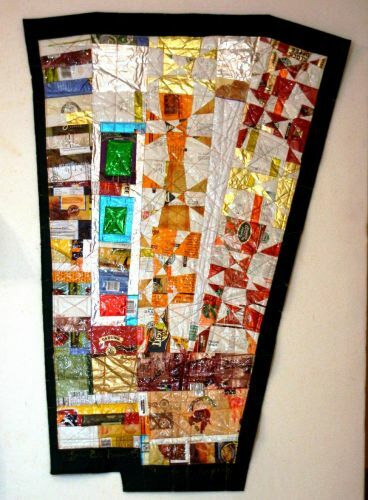 Made mostly of coffee bags that held grounds or beans. Stitched to a felt backing. Felt is made from recycled plastic bottles. Go green!